Junior League of Columbia new member, Ashley Johnson, has been named to the city of Columbia’s Design Development and Review Commission. Ashley is an attorney with Robinson Gray law firm. The commission reviews and approves work proposed within Columbia’s historic districts, urban design areas, and designated landmarks. 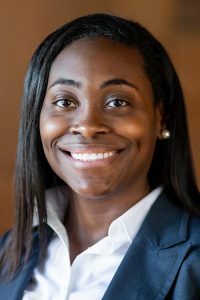 In addition to her JLC membership, Ashley is a member of the South Carolina Women Lawyers Association, the S.C. Black Lawyers’ Association, and the S.C. Defense Trial Attorneys’ Association. She also mentors law students at the University of South Carolina.